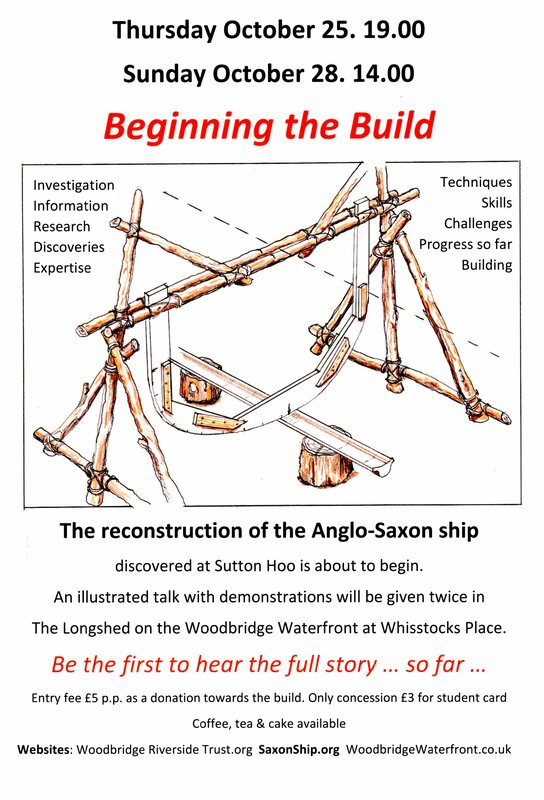 This website is where you can follow some of the developments leading towards the building of the full-size reconstruction of the ship that was buried at Sutton Hoo (just across the river from Woodbridge) in AD 625. Sae Wylfing's 2019 programme and the TALKS schedule are on the Using Sae Wylfing page. 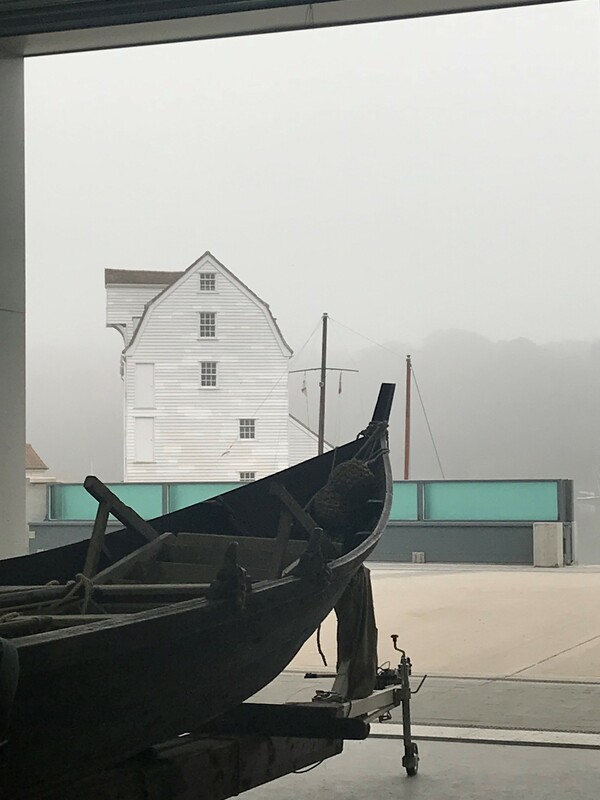 April 6 2019 Woodbridge Haven and Visitor Centre housing the Woodbridge Museum opens its doors. 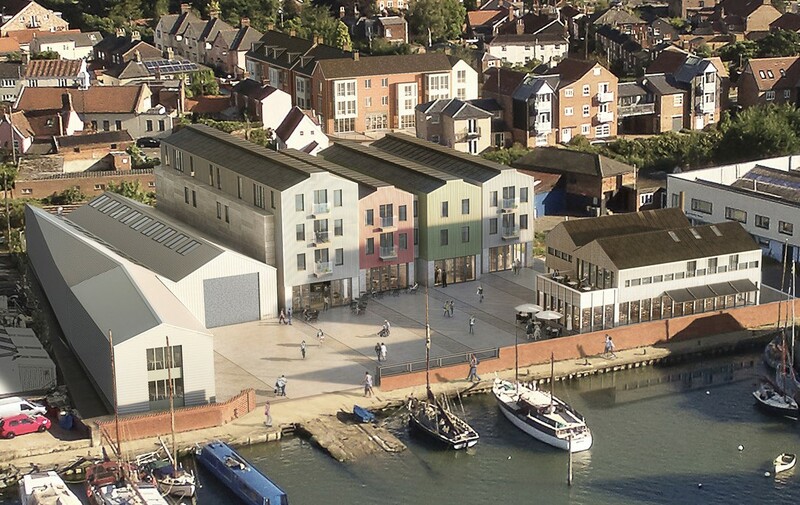 The Museum has moved from the Market Hill in Woodbridge to their new facility on the Waterfront adjacent to The Longshed. A move such as this takes a great deal of work and money which has been provided by the supporters of the museum. The minimal entry fee will now contribute towards its running costs. All the organisations on the Waterfront are keen to attract interested people to become 'Friends' to raise awareness and generate more visitors. The Visitor Centre has books and leaflets providing information on the heritage and attractions of the town. There are leaflets for self-guided walks about the town and displays charting its history. The upper floor of the Centre has an activity area that can be used for meetings, talks and workshops. For information contact 01394 385572. A virtual museum provides further information and there will be descriptions and photographs of objects in the reserve collection. April 2019. The Longshed is directly alongside the world-famous Woodbridge Tide Mill. The Tide Mill is now open again for milling demonstrations in addititon to the full schedule of wheel turning. The mill is surely the most icon building on the East Coast and certainly the most photographed. It was constructed to harness the power of the tide. The rising water was trapped in a mill pool and then after the tide receded the water was released to turn the 5m wheel, to drive the machinery of the mill. A mill was first recorded on this site in 1170 and was run by Augustinian's until Henry VIII saw his opportunity and 'confiscated' it from them. Later, Elizabeth I sold it to Thomas Seckford, a name still very famous in Woodbridge. The mill has a wonderful arrangement of wooden and iron cogs, wheels and lifting machinery, all maintained in full working order. It is possible to see the mill in operation grinding flour that can be used for baking. April 19 Woodbridge Art Club. The 51st Summer Exhibition opens in the club's gallery on Tide Mill Way. There are paintings, pottery, calendars and cards, as well as the book relating to the club's first 50 years which began when the artists hung their pictures on the railings of the nearby railway station. Anglo Saxon ship. 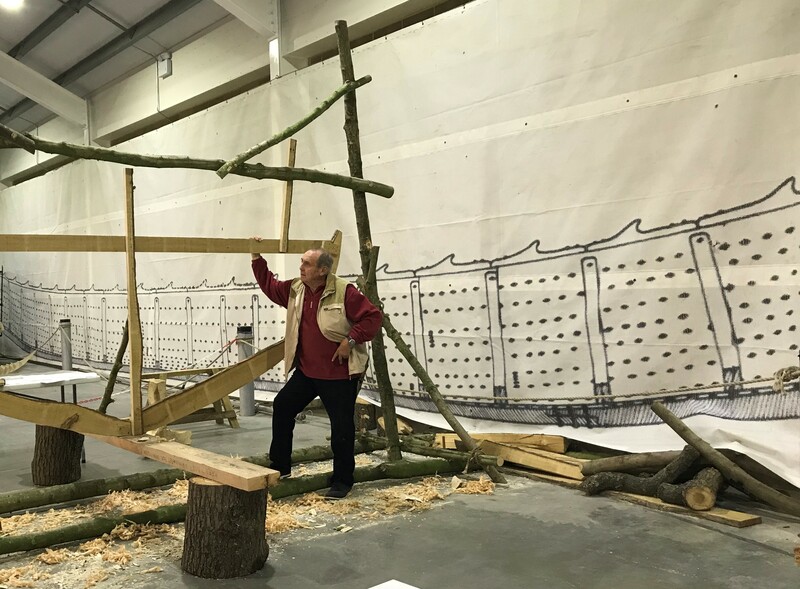 In October 2018 an International Symposium of academic and archaeology experts together with experienced boat builders met in The Longshed. This event was by invitation only. They heard about the 5 - 6 years of research that had gone into the hull of the Sutton Hoo (also called the Mound 1) ship. A series of questions was compiled by The Ship's Company to be put to these people who have related knowledge and experience. The aim was to make sure that everything had been properly researched and that the proposed construction met with approval. If this proves to be the case then the way will be open to commence construction. Currently very few people understand the depth of the investigations that has been going on, so following the Symposium a talk was given in The Longshed for the benefit of local people. The same talk was given twice in October. Over 200 people attended these talks. The content of the talk covered the investigations that have taken place, what information was gathered and what discoveries were made. Explanations of the techniques and tools to be used and what skills will be needed. 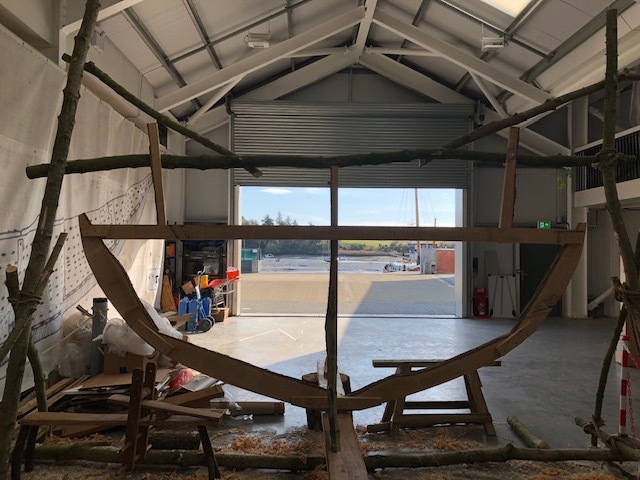 There were descriptions of the challenges to be faced, with outline explanations of the lofting principles and the possible setting up of mould frames in order to check the accuracy of the build. Left. Researcher/speaker Paul Constantine observes Frame 8 set-up alongside full-size banner of ship. Right. Frame 8 with the open door of The Longshed and the River Deben beyond. To read more about the Ship click on the word Ship at the top of the page. To find out more about our longboat 'Sae Wylfing' click the names at the top of the page. relating most directly to the ship and to the activities of the half-length replica Sae Wylfing. has been a huge success. but the demand has meant that it has been reschuled time after time. As each new showing is announced it is sold out within a few hours. Thousands of DVDs have been sold and more details can be found on its website. This was the Waterfront Square prepared for the The King's River performances. An outline of the story-content and the people involved can be found on the Longshed page. The Community's area linking the Town Quay and the Tide Mill is known as Waterfront Woodbridge . In the centre there is a slipway between a barge and a yacht. Tracks run back across the waterfront square to the large door of the Longshed. The projecting building (left) will house the Woodbridge Museum. Four long buildings to the rear at the right are for accommodation and shops. Front right is a restaurant. 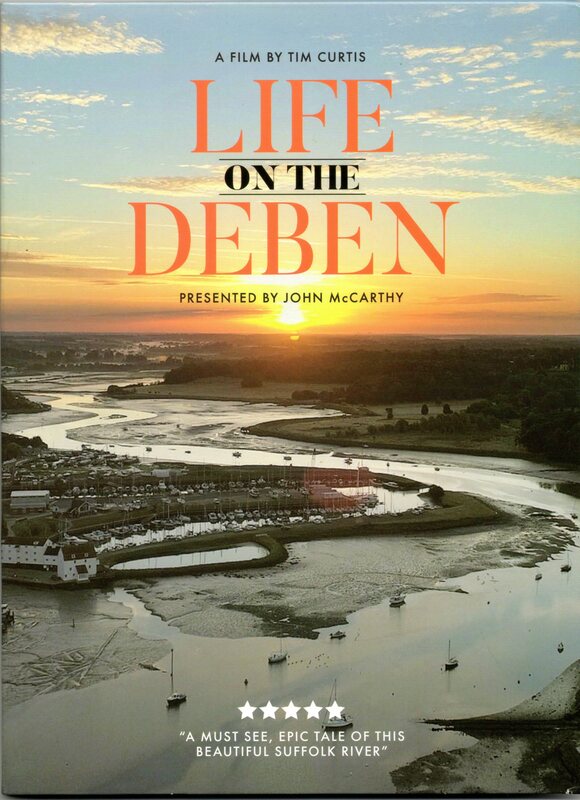 To the extreme left of the illustration is the Town Quay and extreme right the Tide Mill. Artist's impression. Left: Woodbridge Museum. Back left: Longshed. Back right: Apartments with shops below. Right: Restaurant with apartment over. This is no longer an artist's impression, but the actual buildings as seen from the water. Their subdued colours allow the Tide Mill to remain the focus of attention. To read more about the Longshed click on it at the top of the page. click on either of its pages at the top of this page. Imagine Sae Wylfing and her crew arriving at a school near you to tell you the story of the Anglo-Saxons. If you live locally, it could happen. Click on Using Sae Wylfing at the top of the page. To read more about Historical Times click here for Why? When? & How?